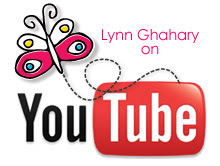 Lynn Ghahary :: Pieces of Me ...: Paper Crafts Gallery Idol - ROUND 3! Scarlet Lime July Sneak Peeks! Paper Crafts Gallery Idol - ROUND 3! Paper Crafts Gallery Idol - ROUND 2! 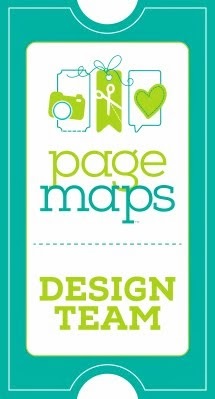 Paper Crafts Gallery Idol - I need your vote! Yep that's right folks! 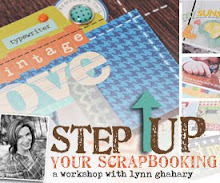 I am in still in the running to become the next Paper Crafts Gallery Idol and as they say I am in it to win it! The third round of voting is now live - you can vote (hopefully for me!) right here. Our theme for the third round was creative uses of ribbon. 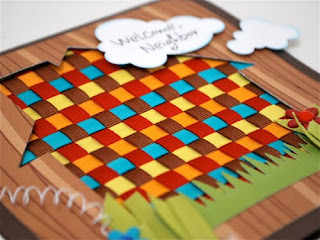 For this challenge challenge I decided to use several different colors of grosgrain ribbon and weave them into a pattern. 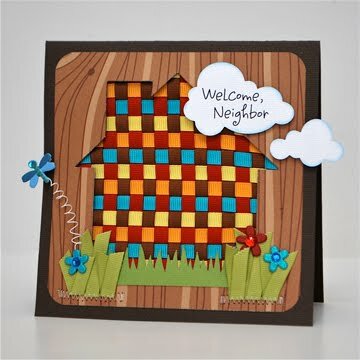 I started with my card base and cut out a house shape from the front. I then got busy weaving my ribbons, securing them from the inside of my card, so they show through the open house shape on front. 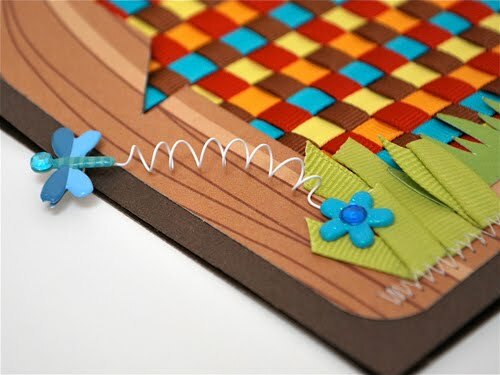 I wanted to create a bit of whimsy on this card so I added some grass to the front complete with ribbon leaved flowers and a cute little dragonfly secured to the card front with wire (he wobbles around when you move the card). I added my sentiment to a few cute puffy clouds in the upper corner of my card and voila! And here is another image of the card front. I think you can really see all of the texture and depth the ribbon adds in this photo. 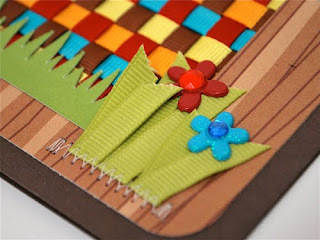 I added a few fun details this card such as the ribbon leaved flowers and the little flying dragonfly. You can see detail images below. Voted!! Really cute card!! And I love how you used the ribbons! I have so many it's not even funny! Great idea!! Congrats on getting to round 3!! Lynn, your card is whimsical, clever, and beautiful. I love how your colors just pop. Good luck! Your card makes me SMILE! I especially like the whimsey!